Why stop at just two screens? By now, a dual-monitor setup has become commonplace. Multitasking on a single screen is just way too confining. But why stop at two displays? I can speak from experience: Having multiple monitors (and I’m talking three, four, five, or even six) is just…awesome, and something you totally need in your life. Right now, my main PC has a triple-monitor setup: my main 27-inch central monitor, with a 24-inch monitor on either side. I use my extra monitors for a number of things, such as comparing spreadsheets side-by-side, writing articles while also doing research, keeping tabs on my social media feeds, and, of course, watching Netflix. Using one of your monitors in vertical orientation can make a big difference for scrolling long documents. If you’re a gamer, well, surely you can see how great three-plus monitors can be for games that support multi-monitor setups. 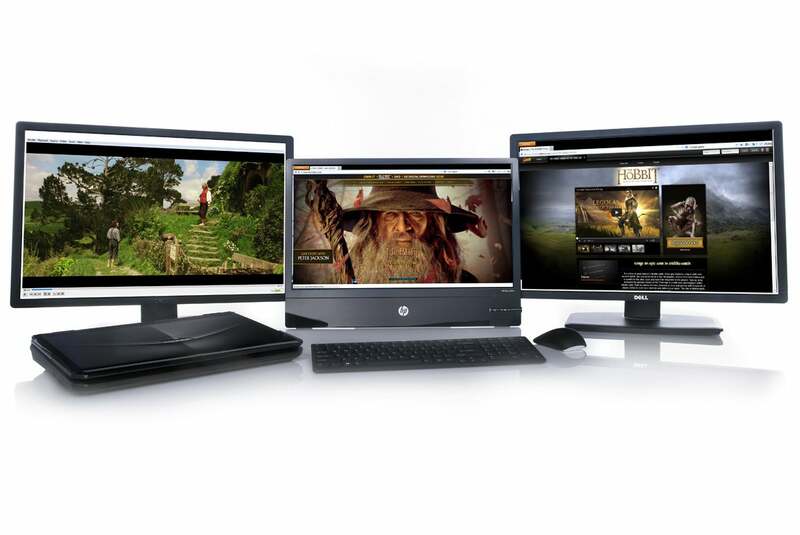 But before you jump in, you want to give your multi-monitor plan some forethought. This guide will walk you through all the factors you need to take into account before setting up three or more monitors. Before you run out and buy a bunch of extra monitors, check to see whether your computer is physically capable of handling all that graphics prowess. First, look at the back of your PC: How many graphics ports (DVI, HDMI, DisplayPort, and VGA) do you see? If you don’t have a discrete graphics card, you may only see two video ports—most motherboards come with integrated graphics that can only run dual-monitor setups. If you do have a discrete graphics card, you’ll probably see at least three ports, not including the ports on your motherboard. Just because you see three or more ports on your discrete graphics card, however, doesn’t necessarily mean you can use all of them at the same time. For example, many older Nvidia cards are unable to run more than two monitors on a single card, even if they have more than two ports. The best way to find out whether your graphics card supports multiple monitors is to find the name of your card (Control Panel > Device Manager > Display Adapters) and Google it with the monitor setup you’re looking to run (e.g. “Nvidia GTX 770 four monitors”). The Nvidia GeForce GTX 650 Ti, which can drive four displays, packs dual DVI ports as well as solitary DisplayPort and HDMI connections. If your graphics card supports—and has enough ports for—the number of monitors you want to set up, excellent. If not, you may need to purchase an additional graphics card to get the multi-monitor support you’re looking for. Before you buy an extra graphics card, you’ll need to make sure you have enough space in your tower (and open PCIe slots), as well as a power supply unit that can handle the extra strain. If you buy a graphics card solely for the purpose of having multiple monitors, it’s best to get one that’s the same (or, at least in the same product family) as your current graphics card, so you can connect them using SLI (Nvidia) or CrossFire (AMD). SLI and CrossFire setups will help your graphics cards run smoothly, and they’ll also boost your PC’s overall graphics performance so you can do fun things like play games in multi-monitor mode without frame rates plummeting. You’ll get much better performance with multiple connected graphics cards than you will with multiple non-connected graphics cards. And, while you technically can run Nvidia and AMD cards side-by-side…it’s more trouble than it’s worth and I don’t recommend it. 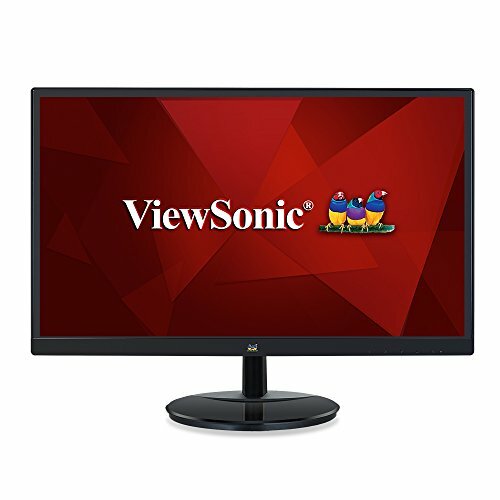 Alternatively, newer monitors with DisplayPort multi-streaming support can be daisy-chained together from a single DisplayPort 1.2 connection on your graphics card, using additional DisplayPort cables to connect the additional monitors to one another. The various displays don’t even need to be the same size or resolution. 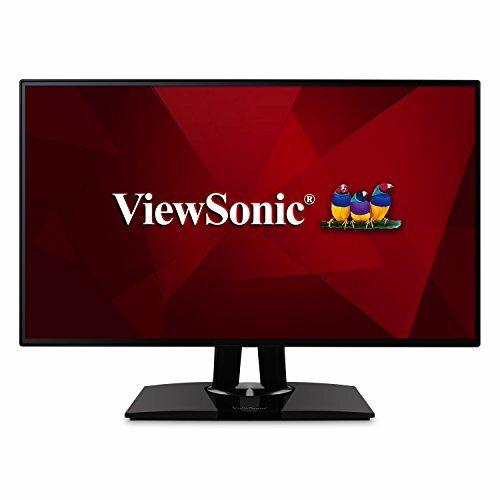 ViewSonic’s VP2468 is one such example. At around $250 on Amazon, this 24-inch monitor is on the pricier side, but in addition to DisplayPort-out, it also offers a premium IPS screen, and a super-thin bezel, which is ideal for multi-monitor setups. Once you figure out your graphics card situation, it’s time for the fun part: obtaining extra monitors. In general, monitors can be had for fairly cheap these days. 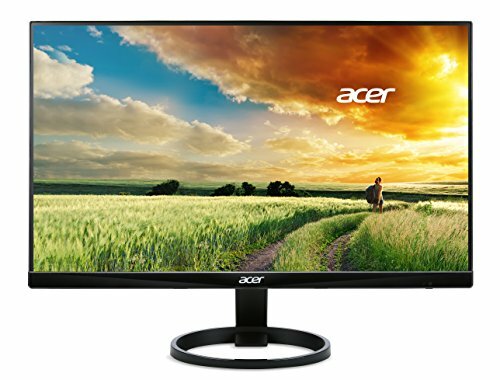 Assuming you can’t finagle a hand-me-down, a 24-inch monitor with an IPS screen will run you around $170, such as the Acer R240HY. You can get a 24-inch TN screen, which will likely trade strong off-axis viewing for a lower response time—something gamers might prefer—for even less money, such as the Asus VS248H-P ($140 on Amazon). 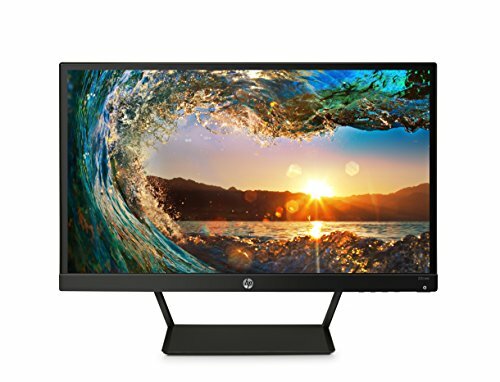 Or step down to 21.5 inches and you could find something for less than $100, as with this HP Pavilion IPS display. Meanwhile, it you’re looking for even more screen real estate, you can find a decent 27-inch IPS screen for about $200, such as the ViewSonic VA2759-SMH, and a TN display for quite a bit less, like the $150 BenQ 2760H. 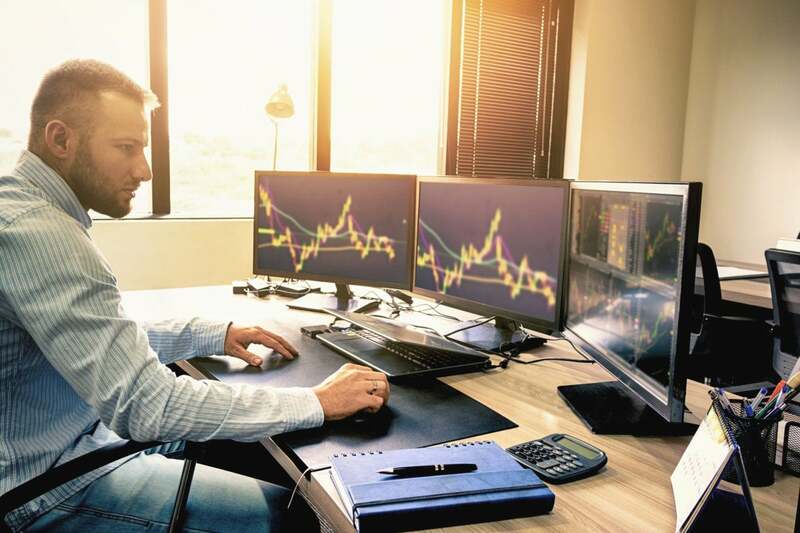 Of course, the perfect monitor for you depends on multiple factors, including the monitors you already have, the size of your desk, and what you’re planning on using your extra monitor for. In my case, I already had two 24-inch monitors, and I wanted a larger monitor as the centerpiece of my setup, so I picked up a 27-inch monitor and placed it between my two 24-inch displays. I’m not using my multi-monitor setup to play multi-monitor games, so the difference in sizes (and the difference in heights—my 27-inch monitor’s stand holds my 27-incher about one inch higher than my 24-inchers) isn’t an issue for me. However, if you’re planning on doing a lot of gaming or watching videos that span multiple monitors, this height difference will make for a not-so-seamless experience. A DisplayPort connector (left) and an HDMI cable (right). correspond with your PC’s output ports. While you could use conversion cables, such as DVI-to-HDMI or DisplayPort-to-DVI, they can be a hassle. 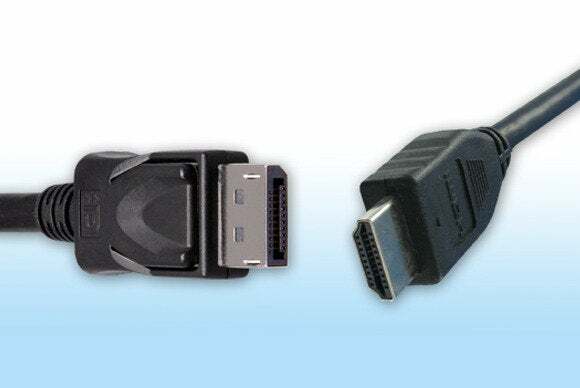 If you have a VGA port on your PC or your monitor, I suggest staying away from it: VGA is an analog connector, which means your picture will be noticeably less sharp and colors will be less vivid. Set up your monitors, plug them in, and turn on your PC. Voila! A perfectly-formed multi-monitor setup! Well, not so fast. Setup is easy, but there are still a couple more steps. The first thing you’ll want to do is configure Windows to play nicely with your multiple monitors. 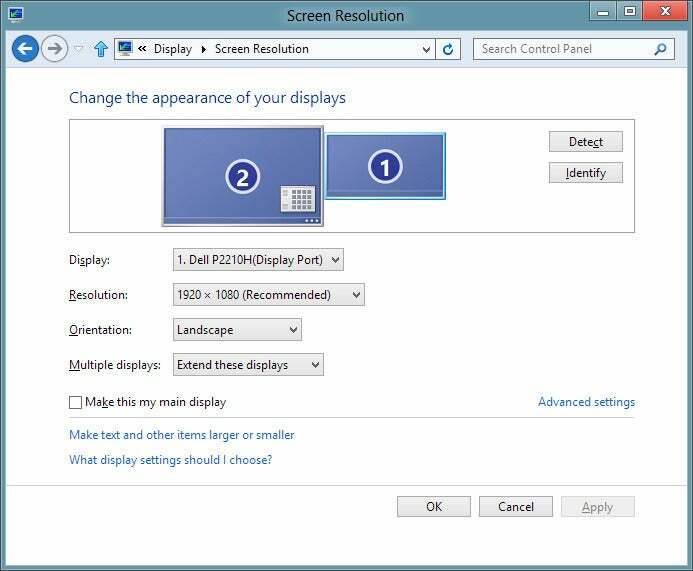 If you’re running Windows 7 or Windows 8, right-click on the desktop and click Screen resolution; in Windows 10, click Display settings. This will take you to a screen where you can configure the options you have for multiple monitors in Windows. Here, you can confirm that all your monitors are detected. Click Identify, which will cause a large number to appear on each of your displays, so you can determine which screen is which. Select the monitor you’d like to serve as your main display (which will also determine where your taskbar and Start button appears). 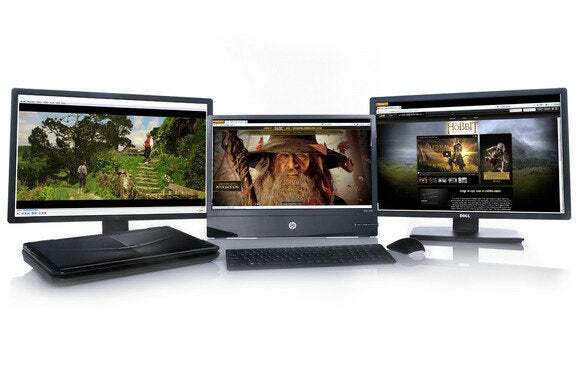 A drop-down menu lets you choose whether to duplicate your desktop or extend your desktop across all the screens. 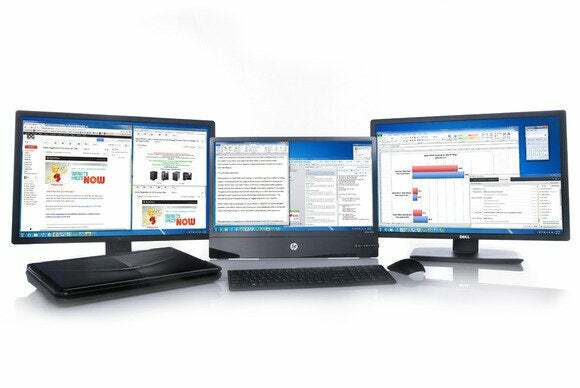 In most multi-monitor setups, you’ll want to extend your desktop across all three (or four, or whatever) of your displays. 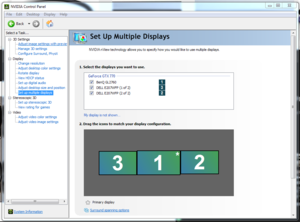 Alternately, you can set up your multi-monitor configuration in your GPU’s control panel. Right-click your desktop and choose either the Nvidia or AMD control panel (depending on your graphics card), and find the Display section, which will offer similar options as Windows. It’s one thing to use multiple monitors to do work and watch Netflix. It’s another thing entirely to use multiple monitors to play video games. If you want to use your snazzy new multi-monitor setup to do some three- or four-panel gaming, there are a few extra things you’ll have to take into consideration. Gaming on several displays at once requires far more graphical firepower than gaming on a single screen alone, because the GPU has so many more pixels to push—so if you’re not running a sufficiently robust graphics card or cards, you’ll almost certainly see lag and artifacting in your multi-monitor games. Check out PCWorld’s guide for choosing the best graphics card for gaming. Before you can start playing your games across multiple panels, you’ll need to set up your graphics card and your game. Nvidia users will need to set up Nvidia Surround, while AMD users will need to create an Eyefinity group for their monitors. You’ll also need to go into your game—not all games are multi-monitor compatible—and configure the video or display settings to the correct resolution so that the game spans across all of your monitors instead of staying squished on just one. You’ll also want to play around with other settings as the game allows, including field of view (too low, and there will be too much going on around you; too high and everything on your left and right screens will be hugely distorted). For gaming, it’s easier if you have multiple identical displays, because otherwise you’ll run into issues with resolution, distortion (if your displays aren’t at the same height), and color calibration, all of which can be difficult to work with if you’re trying to play in a “seamless” environment.